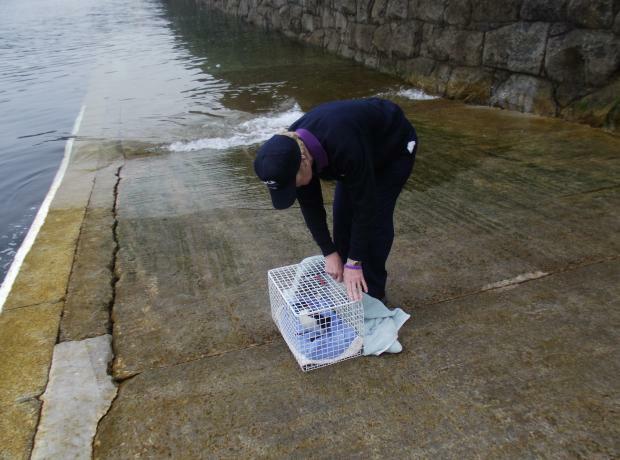 On the 8th February this year the GSPCA received a Razorbill from Alderney which had been affected by crude oil. Staff at Alderney Animal Welfare had cared for the bird and done a wonderful job removing the crude oil from the its feathers after being found on the coast of Alderney. If it hadn't been for their staff this bird would certainly have perished.